« Pan Africa Chemistry Network Congress 2016 – registration open! Dr Haizhou Liu is an Assistant Professor of Chemical and Environmental Engineering at the University of California, Riverside. He received his Ph.D. in Environmental Engineering from University of Washington in 2010, and has a M.S. in Civil Engineering from University of Washington and B.S. in Environmental Engineering from Sichuan University, China. Prior to joining UC Riverside, he worked as a postdoctoral researcher at UC Berkeley for two years on soil remediation projects. Haizhou’s research interests include water chemistry, colloidal metal behavior and redox chemistry in drinking water, water reuse and treatment, environmental remediation, electrochemistry and catalysis. 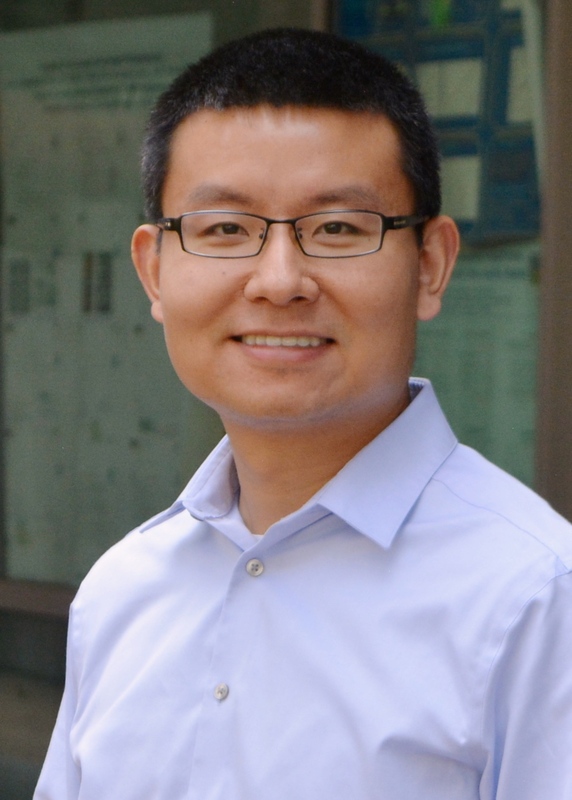 Haizhou’s current research focuses on the applications of aquatic chemistry principles to our benefits in engineered applications such as water purification and wastewater reclamation, as well as to understand how various redox and interfacial chemical processes influence natural systems such as estuarine, surface and groundwater. My first research experience dates back to my freshman year. I participated in an undergraduate research to develop desulfurization technologies to treat flue gas. It was an exciting opportunity to learn how to design an experiment, collect and analyze the data, and come up with a hypothesis to test it. From my first research experience, I became very interested in environmental chemistry and have been working in this area since then. My most recent research is focused on water chemistry, especially the fate of metal and metalloids in water distribution system. I am most excited about the complex interfacial and redox-driven chemical processes in the water distribution system. Our ongoing work shows that the water distribution system has many reactive components, and water chemistry plays a key role in maintaining the chemical stability of the system. Currently, understanding of distribution system chemistry has been mostly limited to a few empirical chemical indices. Awareness of redox reactivities of accumulated contaminants in corrosion products with residual disinfectants and source waters is largely unknown. Outcome from our work can help to increase access to clean water and improve urban infrastructure – two National Academy of Engineering Grand Challenges. In your opinion, what is the biggest challenge for drinking water distribution systems? More cities in the future will deal with aging water infrastructure. Although distribution systems might be functional when operating as they have been for decades, the risks are going to come when source waters are abruptly switched in response to droughts or a decision to use a new water supply. The biggest challenge is how to minimize the adverse impact on water quality when using alternative water sources in the future, while maintaining the chemical integrity of the water distribution system. As environmental engineers, we have sadly seen the catastrophic consequences of ignoring the complex chemical reactivity of water distribution systems when switching the source of surface waters as in Flint, Michigan. Ideas developed through my ongoing work could aid engineers and water system managers in preventing the next Flint. To address these universal challenges and to prevent another Flint crisis with a variety of toxic inorganic contaminants – including but not limited to lead – it is urgent to investigate the redox-driven in situ mobilization of accumulated contaminants from distribution systems. The water distribution system is such a complex “reactor”. The focus of redox chemistry in our work is a pivotal step to advance our knowledge towards a comprehensive investigation, but it requires very careful and vigorous investigation of fundamental chemistry, and this take time. In addition, many issues of water distribution systems are still poorly understood, including biofilm, galvanic and bio-corrosion, mass transfer and diffusion processes at the pipe-water interface. This requires a collaborative effort among environmental engineers to solve the problems. I will attend the American Chemical Society Spring Meeting in San Francisco (April 2017), and the biennial conference of Association of Environmental Engineering Science Professors at University of Michigan (June 2017). As an assistant professor, I don’t have too much spare time outside work, but when there is a change, I play tennis or beach volleyball in sunshine California. I also fall in love with learning Italian and other Romantic languages. I would like to be a pianist. I enjoy classical music very much (favorite composer Mozart) and would like to be good at playing it. Work hard, present your work at conferences and interact with you colleagues. All of these will help build a positive system and make your more creative and productive.